Poor drainage: If water is allowed to pool next to the foundation, the soil will absorb the water, causing it to heave. Drying and shrinking soils: Prolonged dry periods cause the soil to shrink. Wet and softening soils: When the soil gets overly wet, it causes it to swell or heave. Poorly compacted fill soil: If the soil was not compacted at the time of building, the weight of the home will cause the soil to compress. Maturing trees: If trees are close to the foundation, the roots will draw water from below the foundation. 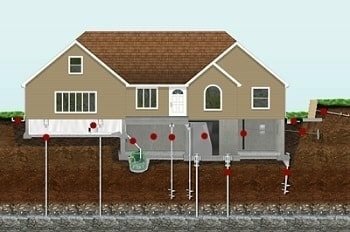 If you see any of these signs of a sinking foundation, it is important to contact a professional to come and inspect your foundation. The experts at Jerry's Waterproofing will come and give you a free inspection and offer you the best sinking foundation repair solution for your needs. 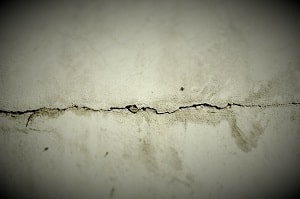 The sooner the repair is done, the least amount of damage that will occur throughout your home. The contractors at Jerry's Waterproofing uses underpinning products to repair a sinking foundation. These underpinning products include either steel piers or helical piers. These piers are driven deep into the ground through unstable soil until they reach a solid soil layer. After installation, each pier is individually load tested. After testing, the entire weight of the structure is lifted onto the piers using hydraulic jacks. The foundation will be back to its original level and stabilized again. For bowing or leaning walls due to a sinking foundation, we use helical tiebacks along with plate anchors to get the bowing or leaning wall back to its original level. These helical tiebacks and plate anchors also strengthen the wall so that they won't bow or lean in the future. All of the products we use for foundation repair are manufactured by Earth Contact Products (ECP), the very best foundation repair products in the industry today. 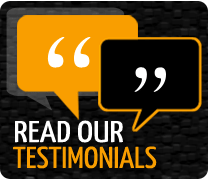 Jerry's Waterproofing has over 30 years of experience and with our experience and using the best products for foundation repair, you can be assured that your foundation will be level and stabilized for many years to come. 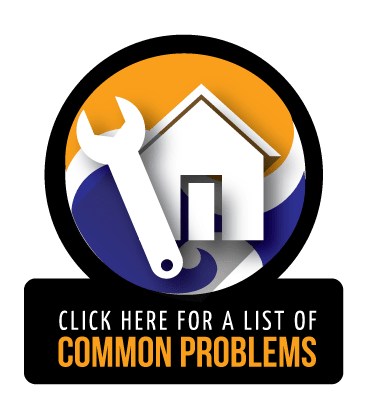 Don't let a sinking foundation become an even bigger issue such as foundation failure. Let the professionals at Jerry's Waterproofing give you a free inspection and offer you the best foundation repair solutions for your needs. We also offer waterproofing and crawl space repair. Don't hesitate, contact us today!